The great thing about the blogosphere is you get to connect was awesome bloggers. That’s just what happened earlier this year with Yelena of Style My Happiness and me. This lady is not only stylish, spiritual, and sweet, she also has a new online boutique that I want to share with you all. 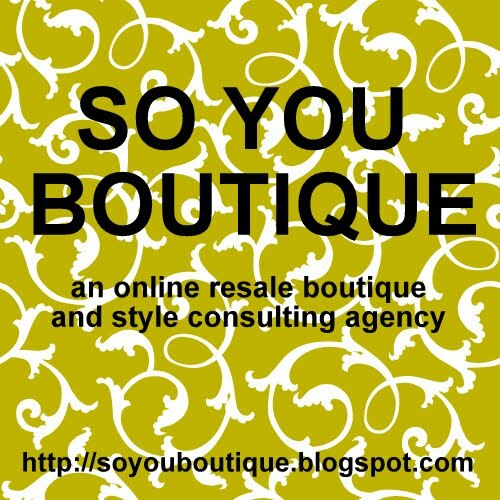 Her latest venture: SO YOU BOUTIQUE, an online resale boutique and style consulting agency. I’m sure it’s going to be quite successful because she offers her visitors steals! “I am starting small, with a few items ranging in sizes 0-8/small-medium. Some of the designers include LOFT, Forever 21 and Ralph Lauren. 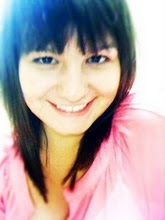 All items in the shop are under $50, no matter how fancy the designer; in fact most items are only $10,” explains Yelena. In this economy, that’s a great deal. Just because money is tight doesn’t mean we have to forgo fashion. To celebrate the recent store opening, Yelena has graciously offered a discount to all of my readers. If you mention that you learned of SO YOU BOUTIQUE through me, you will get free shipping on any order plus a free gift with purchase. Awesome! 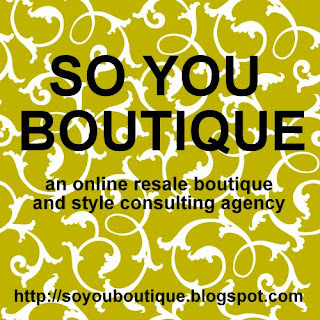 Be sure to contact her if you are interested, or at the very least visit SO YOU BOUTIQUE or Style My Happiness. This sounds awesome! Going to check it out! How exciting is that?? Good for her!! Sounds great! I'll have to check it out. I'm so glad Magnolia bakery made your friend's day! The fourth cupcake down is vanilla with chocolate frosting. I didn't try that one, but it does look amazing! Am off to check it out! Omg, this sounds absolutely fabulous! Good for her - I will definitely be checking this out! :) I just got my paycheck today, so this could be VERY dangerous - and I'm always a fan of free shipping! Very cool, thanks for sharing the love! XO! Congrats to her on opening the boutique! I’ll have to tell my girlfriends about this. Wow, will check it out! I Was Named Prom Queen!